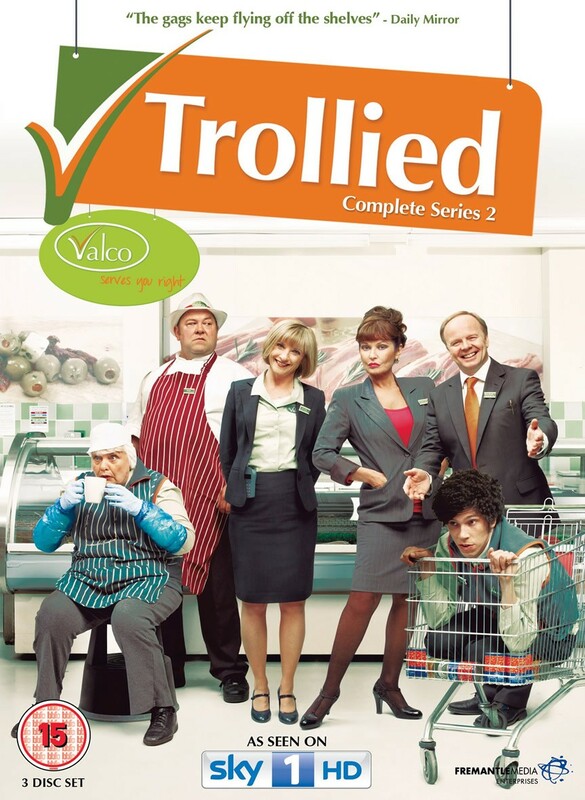 BAFTA and Golden Globe nominee Jane Horrocks (Absolutely Fabulous, Little Voice) and Mark Addy (Game of Thrones, The Full Monty) return as Trollied opens its doors for a second series. Putting a comic twist on one of our most familiar surroundings, Trollied series 2 sees store manager Gavin (Jason Watkins) leaving the branch, making way for new manager Lorraine Chain (Stephanie Beacham). She introduces Valco's controversial below economy line the “No Nonsense” range. Kieran is married, Katie has returned from travelling, Andy struggles with the new boss AND the bakers while Lisa and Colin find other ways to pass the time at work. Linda and Sue are their good old selves until Linda makes an unexpected announcement of her own. All 13 episodes of series 2 plus the Christmas special.